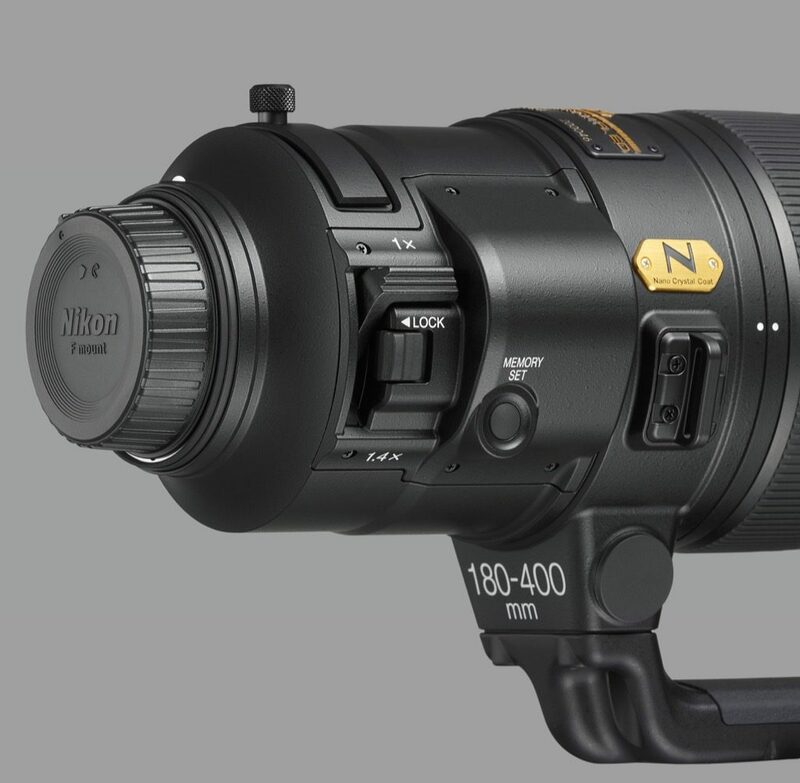 Continuing its innovation in lens design and manufacturing, Nikon has introduced the AF-S NIKKOR 180-400mm F/4E TC1.4 FL ED VR at CES 2018, which features a Nikon first, a built-in 1.4x teleconverter, in addition to a new advanced optical formula. The FX-format super-telephoto zoom is especially suitable for sports and wildlife photography with its wide focal-length range and constant ƒ/4 aperture. In addition to Nikon’s VR image stabilization with up to 4 stops of compensation, even handheld, optical construction is comprised of 27 lens elements in 19 groups (8/5 for the teleconverter), including 8 Extra Low Dispersion (ED) elements, plus a 9-blade rounded diaphragm. The teleconverter can be activated with one finger so photographers can focus on the subject, turning the lens into a 252-560mm zoom. 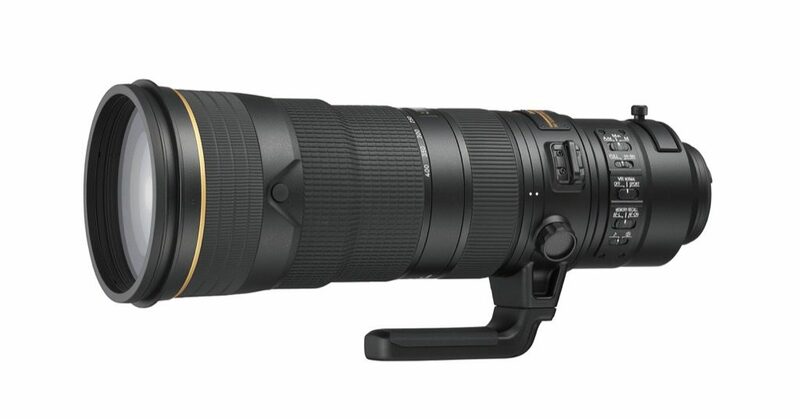 When used on DX-format DSLRs, the lens has an equivalent focal length of 270-600mm (378-840mm with the teleconverter in use). The lens also features an electromagnetic diaphragm for shooting consistent high-speed bursts, and the AF tracking algorithm that controls the motordrive has been improved to increase tracking performance. It’s sealed against dust and moisture for operation in challenging outdoor conditions, plus a fluorine coating helps to repel dirt and water, and Nikon’s Nano Crystal Coat fights ghosting and flare. For seamless shooting from horizontal to vertical and back again, the lens has a new ball-bearing tripod collar ring. 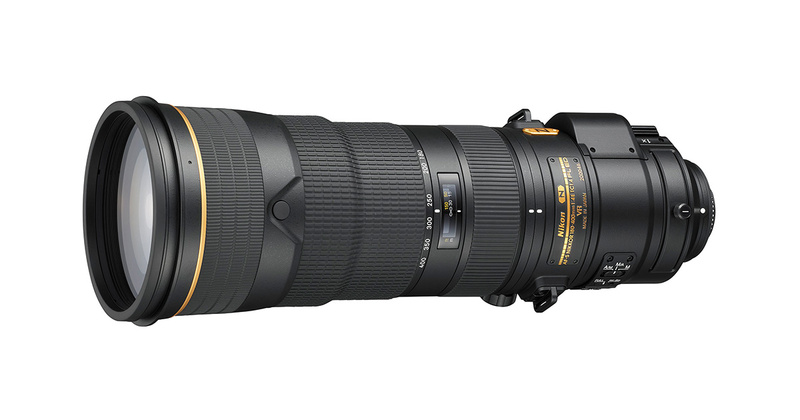 Priced at $12,399.95, the AF-S NIKKOR 180-400mm F/4E TC1.4 FL ED VR lens is scheduled for March 2018 delivery. And, if you’re attending CES 2018 in Las Vegas, stop by Nikon’s booth, #14018, where the company’s speaker schedule includes former astronaut Scott Kelly, who will discuss his photography during his year in space. Nikon also will be live-streaming from the booth: www.nikonusa.com/live. Additionally, the CES 2018 Nikon Theater Presentation schedule is below, an impressive list of photographers shooting everything from editorial, wedding and landscape photography to sports and photojournalism. LAS VEGAS — CES BOOTH #14018 (January 8, 2018) – Today, Nikon Inc. announced its plans for the 2018 Consumer Electronic Show (CES), including a captivating speaker schedule featuring retired astronaut Captain Scott Kelly, as well as the unveiling of the new AF-S NIKKOR 180-400mm f/4E TC1.4 FL ED VR super-telephoto zoom lens. In addition to Nikon’s full lineup of leading products, visitors to the Nikon booth in Central Hall will experience the future of imaging technology and robotics with a demonstration from Mark Roberts Motion Control (MRMC). “The 2018 Consumer Electronics Show provides an opportunity for Nikon to tell our story of innovation on a global scale, and how we can work with consumers and different industries to empower them with ever-changing imaging technologies,” said Kosuke Kawaura, Director of Marketing and Planning, Nikon Inc.
Nikon will showcase the new AF-S NIKKOR 180-400mm f/4E TC1.4 FL ED VR, a professional-level super-telephoto zoom lens designed for photographing sports and wildlife in stunning clarity. This incredibly versatile addition to the NIKKOR lineup has been updated with the latest Nikon lens technologies for enhanced performance and image quality. 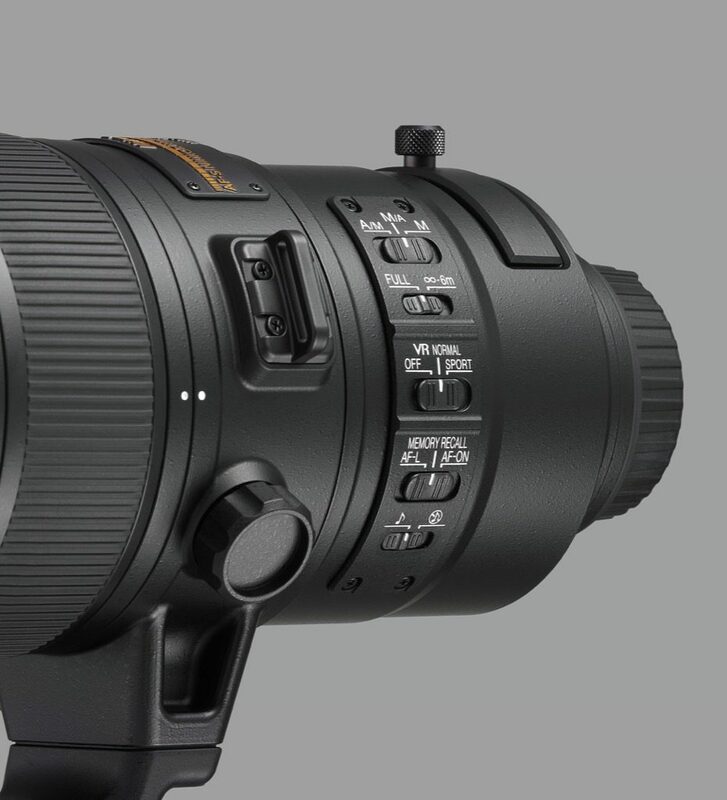 Additionally, this new lens features Nikon’s first ever built-in 1.4x teleconverter, and combines the use of a fluorite lens element and durable magnesium alloy construction for decreased weight and improved balance. Retired astronaut Captain Scott Kelly will present at the Nikon Theater on Tuesday, January 9, sharing his experience as an astronaut, stories of his space missions and how he used photography to document his yearlong mission to the International Space Station with Nikon DSLR cameras. Since returning from his record-breaking stint in space, Captain Kelly’s main mission now is to bring his insights and experiences to audiences all over, and challenge them to embrace risk and fulfill their dreams. In addition to the roster of high-performance imaging products that will be on display at the show, Nikon will also be exhibiting the latest in robotic image capture with MRMC (Mark Roberts Motion Control, a Nikon Company). MRMC creates robotic still and video capture solutions for a wide variety of applications from the world’s largest motion control arm to E-commerce systems built to capture with precise detail. Throughout the show, attendees will have the opportunity to experience the live demonstration firsthand and see what this new innovative technology can achieve. The Nikon Theater will feature a full schedule of the world’s most inspiring and engaging photographers throughout CES. All presentations will also be livestreamed — those interested in watching remotely should visit www.nikonusa.com/live to tune in.